We’re shining a light on the great work our Sudbury Team programme have been doing in the community and boosting their skills ready for their next steps over the past 12 weeks. The young people on our Prince’s Trust Team programme’s across the county have been graduating from our 12-week course this week. We have five team’s which have just finished including Sudbury, Lowestoft, Colchester, Stowmarket, and Ipswich. 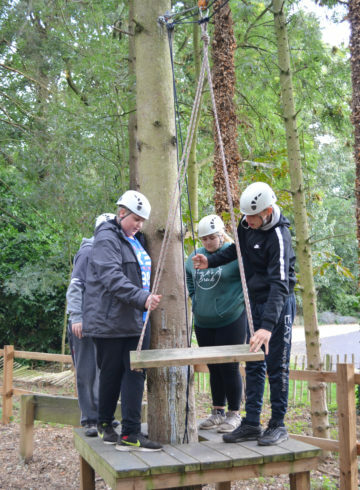 The Prince’s Trust Team programme aims to build confidence, skills for life and work and support young people onto positive next steps in work, education or training. 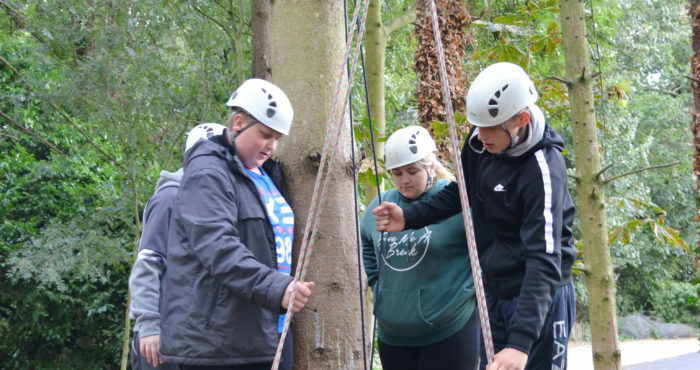 They started the programme by spending a week away on an action-packed activity residential trip in Norfolk. This gave them a chance to break away from their current situation and realise their individual strengths within their team. 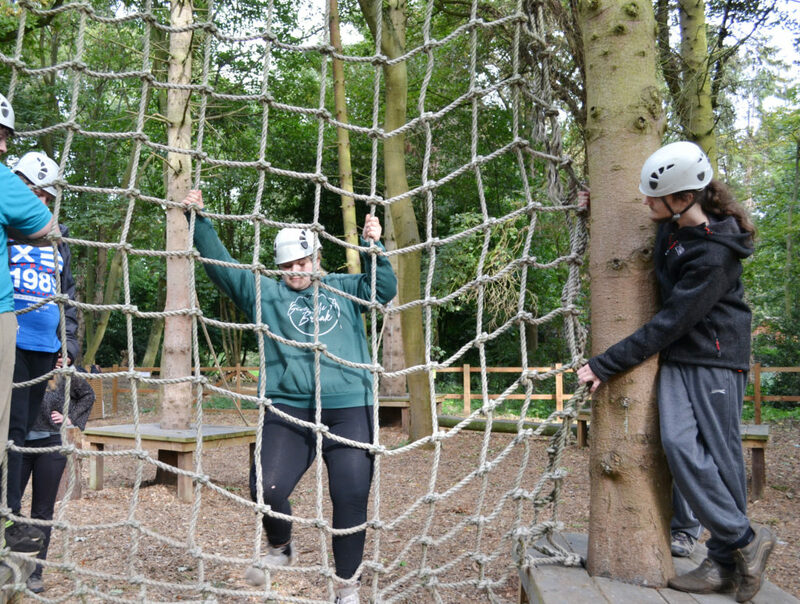 The group took part in lots of activities including canoeing, crate stacking, low ropes and much more! They are also required to plan, raise fund and complete a project of their choice that will benefit their local community. This provides a great platform for our young people to build new skills including leadership, communication and a great project and experience to add to their CVs. 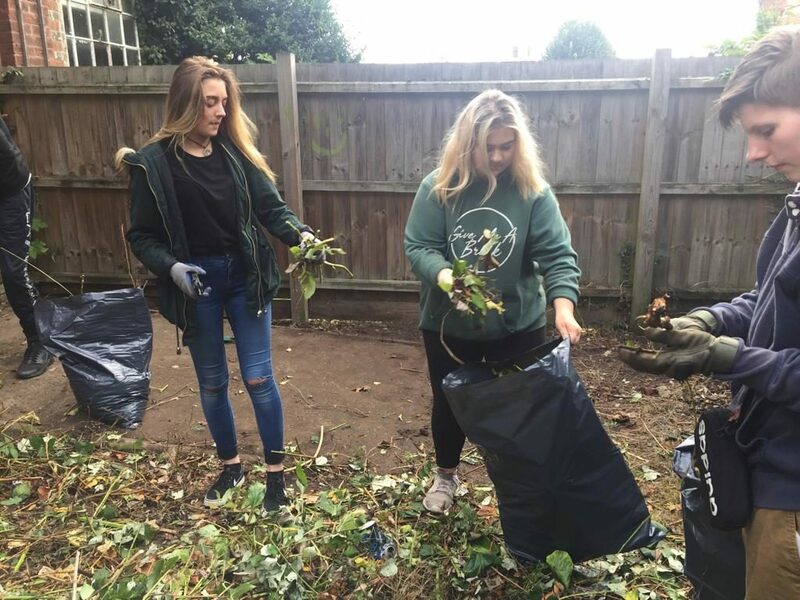 The young people chose to renovate the garden area at The Pump House in Ballingdon, which is owned by Genesis Housing Association. The programme is currently based at the Pump House and hadn’t been used for at least a year prior to this, which is why they decided on enhancing the centre for their project. The group of young people renovated the garden area by clearing overgrown weeds, creating a bark path way, as well as painting the fences to give the building a fresher look. The team worked really hard to bring the building back to life. 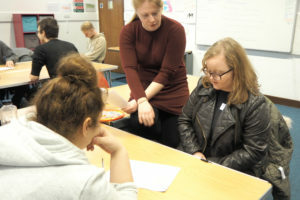 They also took on two weeks work experience with local employers to build their experience and a ‘work skills week’ where the team focussed on enhancing their CVs, taking part in mock interviews and much more with many local businesses visiting the programme to support those involved. Local employers included Sudbury Town Council, Rainbow Fun, PDSA Charity Shop. The last week of the programme involves a graduation presentation to family, friends, local employers who have supported the programme and charity supporters! Many of the young people involved express that they really do not look forward to this part, however, when it comes around, they speak confidently about what they’ve learned and how far they have come. We would like to say a massive thank you to Sudbury Snooker Club and Function Room for allowing us to use their function room for the Team programme graduation as a charitable donation! 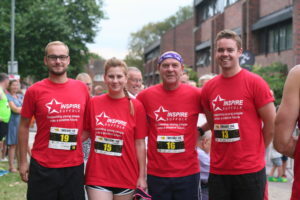 Thank you for supporting the programme and Inspire Suffolk – we cannot do our work without supporters like you! 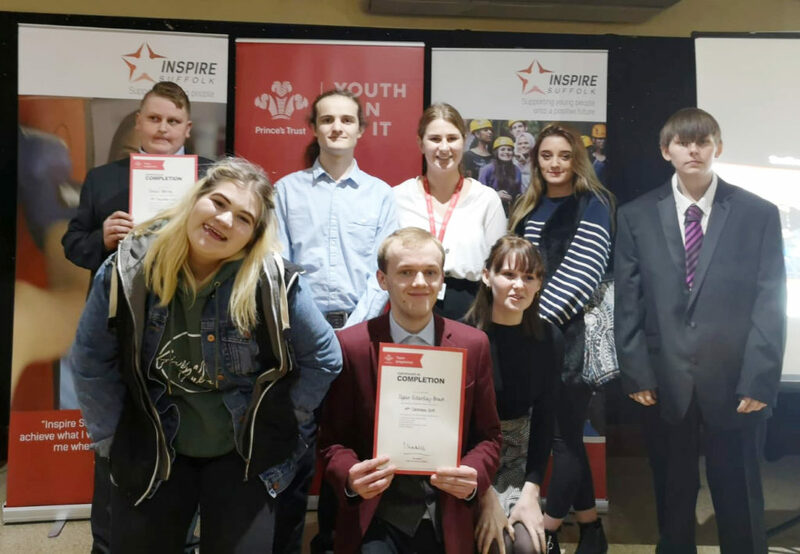 Following the programme, the young people have been able to secure jobs, apprenticeships, college courses, volunteering opportunities to pursue their chosen career paths and take a positive next step. 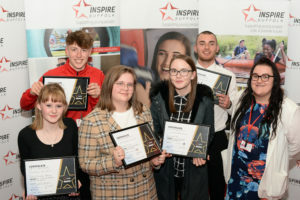 Inspire Suffolk’s next group of Prince’s Trust Team programmes begin on 21st January 2019 in Ipswich, Lowestoft, Stowmarket, Clacton and Haverhill. Find out more at here.